All started with trying something new, and new I was to Alberta back 2010, arrived on a dream I had since 1988. 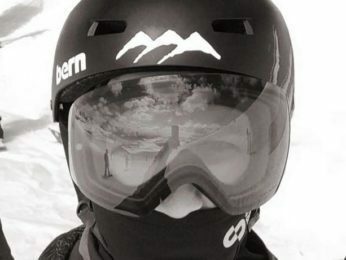 Growing up I never seen snowboards, this new found world was very exciting, so I decide to try snowboarding, soon after my son realized I was having more fun then he was on skies, so we dropped the stix and never looked back. Alberta is home to some very amazing people, athletes and places, the community of this great sport is second to none, where else in the world can you snowboard 7 months of the year! Most memorable day: Oakley Week 2017 in Whistler, met many of the Oakley team riders, but the epic moment was seeing my son interact with the team and later doing some park laps together… mission accomplished! Inspiration Riders: Kevin Pearce, Michelle Salt, John Leslie, all whom of which succeed over some huge obstacles in life. Favourite Snowboard Videos: Shredbots, Shredtopia, R3boot, Horgasm a Love Story, Oakley’s For Me, ManBoys, Art of Flight and many others. Favourite trick: Laid out Front 180, off the toes.